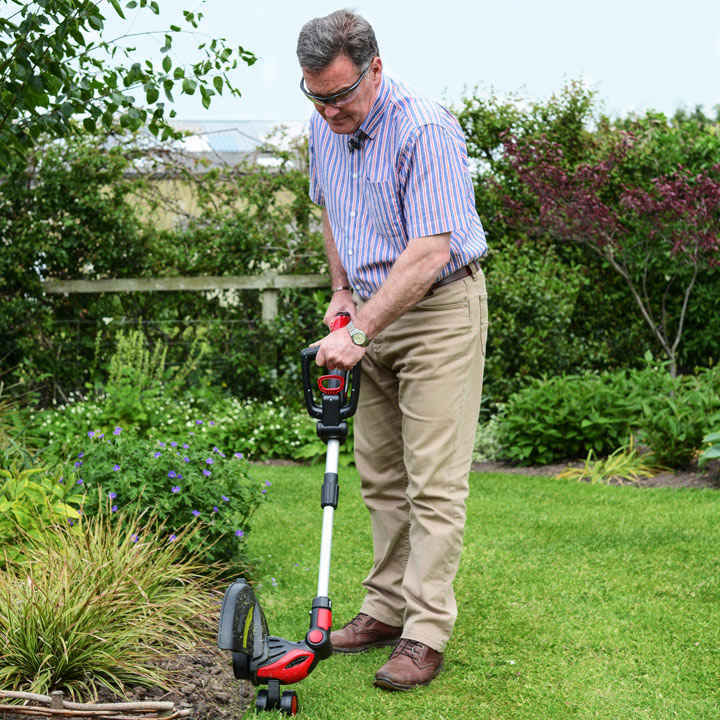 The Cobra GT30-24V cordless grass trimmer uses one 2 Ah 24v battery which can power the strimmer for up to 30 minutes depending on the strimming conditions. It has a 30cm cutting path and uses 1.65mm nylon cutting line. The trimmer head can be rotated at a push of a button through 45 degrees to edge around borders. The Cobra GT3024V has an adjustable loop handle and the operating controls have been positioned ergonomically for the user. This model also features Eco and Turbo trim modes. 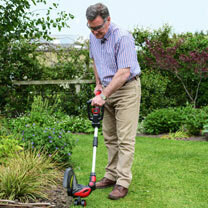 In Eco mode the trimmer is quieter and will run for a longer period. Turbo mode provides faster and more powerful strimming. 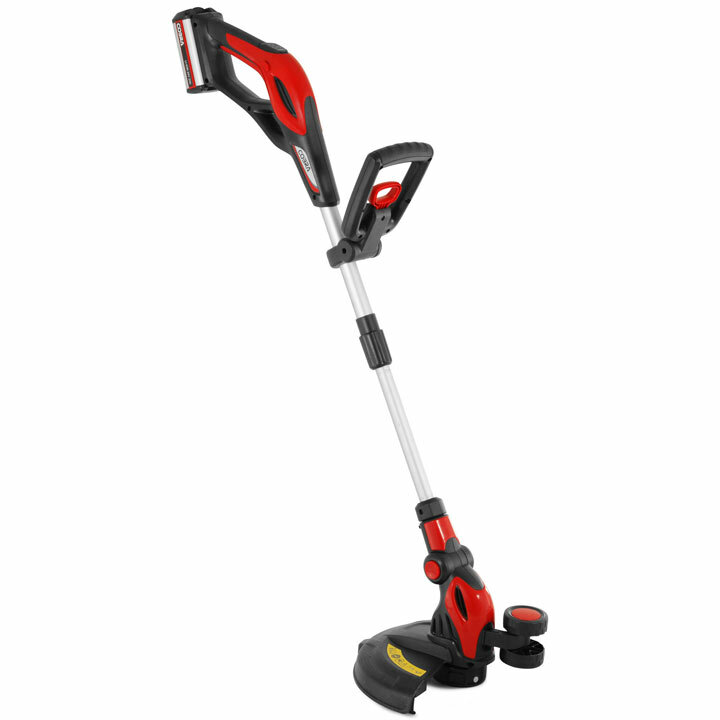 Telescopic shaft and adjustable handle ensure maximum comfort for any user. Battery and charger included.